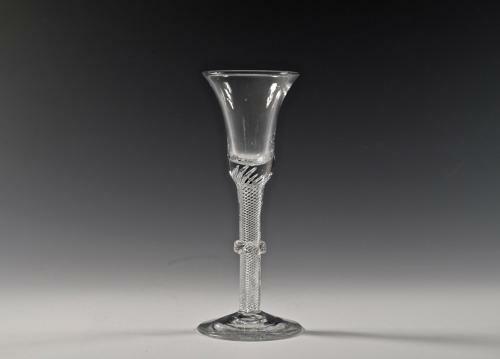 Multi spiral air twist wine glass with bell bowl plain foot and vermicular collar. English C1755. Vermicular collar: A wavy clear glass thread trailed to encircle a collar on a stem.